Donna Owen was a Special Agent with the FBI for 28 years. Now a national and international law enforcement consultant, she utilizes her training and experience to assist corporations, insurance professionals, and attorneys with criminal/intelligence investigations, special events security, and crisis management operations. Ms. Owen provides unbiased and impartial expert testimony and litigation support services for both plaintiff and defense attorneys. 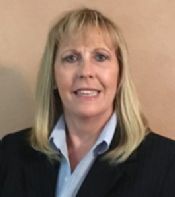 Donna Owen, a former FBI Special Agent for 28 years, now utilizes her training and experience to assist corporations, insurance professionals, and attorneys with investigations, special events security, and crisis management. Her background with the FBI includes violent crime investigations such as kidnappings, narcotics, and extortion, and white collar investigations including bank fraud and copyright violations. From 2005 to 2016, Ms. Owen was a member of the Child Abduction Rapid Deployment Team, responding to child abductions throughout the United States. Ms. Owen also held the position of Special Events Coordinator, working extensively with federal, state, and local law enforcement law and host committees to prepare and implement operational plans to ensure the safety of the participants and attendees at high-profile events and functions. Additionally, she was the Crisis Negotiation Coordinator for ten years and a Crisis Negotiator for twenty years and is currently a member of the Board of Directors as an Advisor for the Texas Association of Hostage Negotiators.